Originally posted 12/10/2010; updated 4/7/2019. 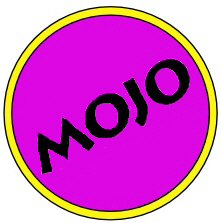 Mojo is a monthly UK magazine first published in October 1993. While they haven’t always named a “song of the year” they have done multiple best-of lists. Based on 15 of those lists (see links at bottom of page), here are the best songs of each year from 1955 to 2005. Mojo is a monthly UK magazine first published in October 1993. They have published multiple best-of lists over the years. 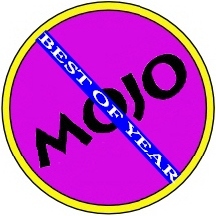 Below is an exclusive Dave’s Music Database list in which 15 song-based lists (see links at bottom of page) from Mojo hae been aggregated into one best-of list. ‘Tis the season for mistletoe, gawdy blow-up decorations in people’s yards, and earworm-inducing ad infinitum spins of “Grandma Got Run Over by a Reindeer.” This also means it’s time for scrawling those wish lists and checking them twice. Santa’s dropping down that chimney in just a few weeks and stuffing those stockings with CDs by Justin Bieber or Arcade Fire, depending on whether we’ve been naughty or nice. With an 8-year-old and 5-year-old, list-making in my household means children taking notes during television commercials. Ah, but in the music world, this is the time of year for another kind of list-making as well. While Santa’s loading up his sleigh with goodies, editors of every music mag known to man (a phrase that begs the question, “are there ‘zines devoted to the auditory pleasures of, say, the platypus kingdom?”) are packing their year-end magazine issues with plenty of treats. Those often come in the form of best-of-the-year snapshots. Considering my inclination in that area, my Christmas wish list is generally comprised of which year-end issues rank highest as must-haves. As a side note, my obsession with year-end lists has overwhelmed even my fictional writing. Last week, in my efforts toward penning that great music-themed novel everyone so desperately needs from me (yeah, right), I scribed an entire chapter devoted to two characters debating the best college rock tunes of 1983. I know. I have a problem and need to seek help. In the spirit of the season of list-making, Rolling Stone has offered a unique spin with its playlist issue (Dec. 9, 2010; issue #1119). While their year-end wrap-up should be just around the corner, this time out the focus is squarely on artists making lists of other artists. I doubt the world has been on pins and needles awaiting the revelation that Maroon 5’s Adam Levine ranks “Man in a Suitcase” as his eighth favorite Police song, but they might care about what roots and reggae songs make Keith Richards’ top ten. I must admit that after perusing a couple lists even I was thinking what an exercise in tedium this seemed to be – and this is coming from a list devotee so obsessed that he’s created a website and Facebook page devoted to the crap. However, when I read Patti Smith’s comments about how moved she was by “Sad-Eyed Lady of the Lowlands,” it matters not one whit whether that or “One Too Many Mornings” ranks higher on her list of favorite Bob Dylan love songs. (For the record, she ranked “Mornings” #1 and “Lowlands” #4). The importance comes not in the rankings, but the feelings evoked by the creation of the list. More importantly, for us readers it allows a glimpse into Smith’s world as she reverentially describes singing “Dark Eyes” with Dylan nightly while they toured together in 1995. Her comments about striving, and failing, to pen a song of gratitude to Dylan was revelatory; even the greats like Smith, no slouch in the lyrical writing department herself, have musical gods to whom they bow. When Elton John calls Kanye West’s “Say You Will” the “2008 equivalent of Marvin Gaye’s ‘Let’s Get It On,’” my browser is already heading toward my favorite quasi-legal Russian download site. While the presence of Kanye West on Elton John’s iPod might be eyebrow raising, it is no shock that Gerard Way, frontman for emo-rock group My Chemical Romance, would offer up his snapshot of the glam rock world. It is hardly groundbreaking to see David Bowie’s “Ziggy Stardust” and Mott the Hoople’s “All the Young Dudes” make the cut, but Way defines glam in a broader context to include Roxy Music, Brian Eno, Alice Cooper, and the New York Dolls. We’d all do well to similarly expand the boundaries we’ve placed on genre classification. This is why I love music lists. Ultimately, it isn’t about what ranks at #1 and what comes in at #68. It is more about being on the list at all. A list is a celebration of what shows up and a surefire argument starter over what doesn’t. Either way, the end benefit is the discussion spurred by a list. Heated debates over what should and shouldn’t make the grade really are mini-musical history lessons. Why should an artist be lauded with “best ever” status? How has so-and-so’s album left its mark? What has “song X” done to change the musical landscape? Of course, there never really can be such a thing as a “definitive” list – although I cheekily attach the tag to many of the posts on my Dave’s Music Database Facebook page. Any list is subject to debate or change – just ask my kids. If they watch any TV tonight, they’re bound to scratch something off their Christmas wish lists and add a couple new things. Oh, and by the way, if you’re stumped over what to get me, I’d be fine with the $750 thirty-disc box set of Elvis’ studio recordings. You know, just in case you’ve got nearly a grand burning a hole in your pocket that you desperately feel a yearning to throw my way. Merry Christmas all. Here’s hoping you get at least something on your list. Originally posted June 10, 2011. Last updated September 3, 2018.